Presented by Matt and Suzi. 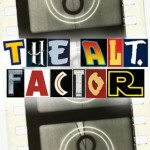 The Alt Factor is a talk show about films on TV and at the cinema. You’ll hear some classic film themes and soundtracks and pick up on all that’s going on in the land of the silver screen. 25th June 2016 - Alt Factor - Shark!